In this Sekiro: Shadows Die Twice Guide we’re going to be taking an in depth look at the Loaded Spear Prosthetic Tool. This is the first of 10 such guides, exploring every facet of these. From explaining just what each upgrade does, to how they can best be utilized in combat. 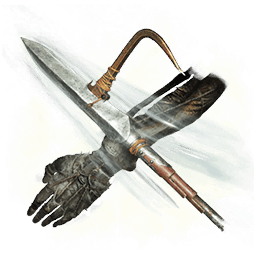 I’ve decided to begin with the Loaded Spear, because I think it is one of the more interesting Tools that you can use in Sekiro. The Loaded Spear can be obtained reasonably early on in Sekiro, as you only need to defeat one Boss to obtain it (Gyoubu Oniwa). Immediately after defeating the Blazing Bull, head forward and jump across the the gap, grappling to the other side. Once there, defeat the spear wielding enemy on the bridge to receive the Gatehouse Key. Exploring Ashina Reservoir, you will come across a small building that with a locked door. Inside you will find the Gyoubu’s Broken Horn. Return this to the Sculptor to gain the Loaded Spear Prosthetic Tool. The Loaded Spear is primarily used for its long range. Range is a luxury in Sekiro, and the Spear can keep you out of reach of your opponent’s blade, while at the same time ensuring Vitality and Posture Damage. In addition, it can pull enemies to you for no additional Spirit Emblem cost, bringing them into range for follow up attacks. To do this you first press R2 to thrust with the Spear, and then R2 again to “pull” the enemy to you. The Loaded Spear works particularly well if you have the Chasing Slice skill, as the follow up attack is very fast, but can only be used if you do not use the pull function. This combo (R2 then R1) is effective against very aggressive enemies that have long reaching weapons, like those that also have spears. And, against enemies that tend to jump backwards, like Lady Butterfly or the Okami Warriors. The Fang and Blade Skill allows you to do an attack after you have performed the pull with the spear, allowing you a follow up no matter how you use the spear. 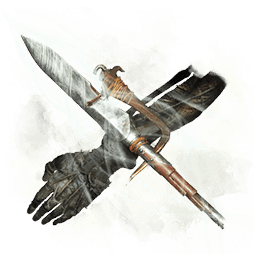 Unlike the Loaded Axe, this is a very very fast attack, and is even faster than a normal R1 attack would be if this skill is not known. 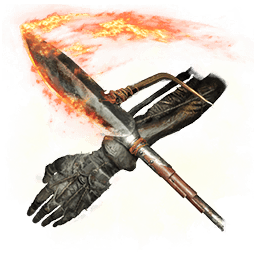 The Loaded Spear Thrust Type is a variant of the Loaded Spear, and is the first upgrade you can obtain for it. It allows for 3 successive hits by holding down the R2 button. If you only press R2, instead of holding it, you will only do a single strike (just like the default Loaded Spear). You can pull at the end of all 3 hits, or the single strike, by pressing R2 again. Chasing Slice and Fang and Blade work exactly the same with this version of the Loaded Spear. The Loaded Spear Cleave Type is the next upgrade of the Loaded Spear, and performs a wide sweeping attack when R2 is held. This spear type is meant to be used against many enemies at once, since it strikes in almost a 360 degree arc. However, due to the fact that it has an extremely long wind up animation, it is very difficult to pull off when surrounded. In addition, this attack has no poise, meaning one hit and your attack will be canceled completely. This makes this upgrade the least useful of all. The Spiral Spear upgrade works much the same way the Loaded Spear Thrust Type works, with a few differences. Pressing R2 will perform a standard thrust attack, but deals substantially more damage than any previous upgrade. It also does Vitality damage through an enemies block/deflect on this attack. When performing the 3 hit combo, by holding R2, only the last hit will pierce defenses. This makes this combo very very situational, and it is best used when an enemy is exposed and unable to defend. When in doubt, the single strike should be the default. The Leaping Flame is the final upgrade of the Loaded Spear, and it’s moveset is the same as the Loaded Spear Cleaving Type. However, it deals much more damage than any previous upgrade, except the Spiral Spear. These appear to deal roughly the same amount. This spear can also set the Burning Status Ailment on enemies, via repeated thrusts or sweeps, but takes an exceptionally long time to do so. And, contrary to the description, it does not knock enemies down when using the sweeping attack. Because this spear uses 2 Spirit Emblems per attack, it makes it the least cost effective of all upgrades. 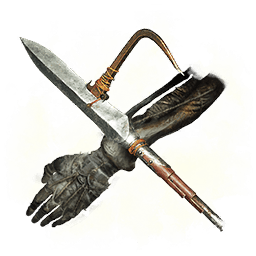 The Loaded Spear is an extremely efficient Prosthetic Tool, because of its very low cost of 1 Spirit Emblem. It has a variety of uses, and is very good against aggressive enemies, or enemies with far reaching attacks. Consider having it as one of the three you keep equipped by default. The biggest downside of the Loaded Spear is that you gain no poise from using it, meaning that you can be interrupted during its longer than a standard attack animation, quite easily. For this reason, learning the timing and range of its attack are essential for success when wielding it. 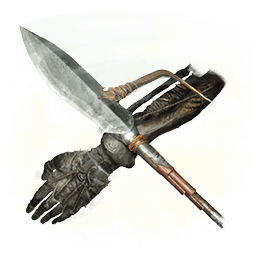 The Loaded Spear, like other Prosthetic Tools, is affected by Attack Power. Therefore every single Boss that you kill, will make this Tool more powerful. Ako’s Sugar, Ako’s Spiritfall and Yashariku’s Spiritfall will all not only increase your Kusabimaru damage, but also spear damage as well. Keep this in mind when using the spear against tougher enemies. The pull attack from any form of the Loaded Spear can be used to rip the armor off a small subset of enemies like Shigekichi of the Red Guard, but is so infrequent it is almost not worth noting. However, the Loaded Spear is extremely effective in the Guardian Ape and Headless Guardian Ape fights. Using the spear pull on the neck of the of the Headless Ape, after it falls to the ground, does insane Posture Damage and makes these fights go much much more easily. Chasing Slice can be used in succession with the single thrust attack from any spear upgrade to kill Lady Butterfly rather easily in phase 2. In this phase she will keep attempting to jump backwards, in order to snap her fingers and summon the illusory spirits. By thrusting with R2 and then pressing R1 (for Chasing Slice), she will not be able to get away to do this, making this fight much less difficult. If you are having trouble with Lady Butterfly, or are just annoyed by those damn spirits, then give this method a try. Lastly, if you had to pick one upgrade to use, you’d choose the Spiral Spear hands down. It retains the 1 Spirit Emblem cost, it pierces defenses, and it does nearly twice as much damage as any previous upgrade. It takes many many attacks from Leaping Flame to set Bosses on fire, and when you combine that with the 2 Spirit Emblem cost, it’s just not that good. Aim to get Spiral Spear, and only upgrade past that if you are aiming for upgrades for other Prosthetic Tools. Stay tuned for more Prosthetic Tool Guides, and be sure to check out our Boss and Beginner Guides if you need more help with the game!